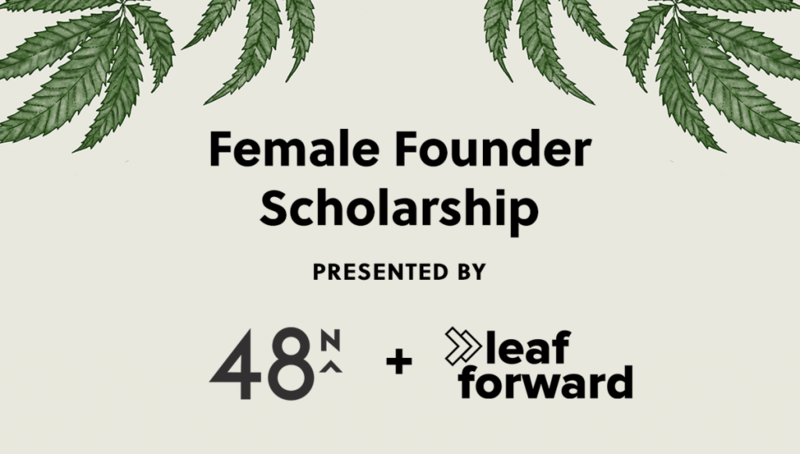 Leaf Forward is partnering with our friends at 48North Cannabis Corp, Canada’s premiere female-focused health and wellness cannabis company, to award five women-led cannabis businesses with a scholarship to the upcoming Leaf Forward Cannabis Startup Bootcamp. The five 48North Scholarship recipients will learn strategies and tactics to start and grow a business in a strictly regulated and increasingly competitive industry. Entrepreneurs will be taken through a deep dive on proposed cannabis regulations, instructed on business planning, and given a crash course in legal 101. In addition, participants will hear from experts on sales, marketing and brand building and given access to a toolkit designed to raise money from investors. Unlike other cannabis conferences, the Cannabis Startup Bootcamp is built for startups, the class size is small (space is extremely limited), ensuring attendees have meaningful interactions with leaders. The four-day Cannabis Startup Bootcamp takes place July 20-23 in downtown Toronto. Note that you can register for the bootcamp while scholarship applications are processed. If you are accepted, your bootcamp fee will be fully refunded. Click here to register. The scholarship is for women entrepreneurs who are passionate about solving real problems in the cannabis industry and want some of the best and brightest industry leaders and subject matter experts to help them along the way. If I don’t qualify or am not awarded a scholarship can I still attend the bootcamp? Yes, the bootcamp is open to all cannabis entrepreneurs, for more information on registering click here. Note that you can register for the bootcamp while scholarship applications are processed. If you are accepted, your bootcamp fee will be fully refunded. Click here to register. Registrations have now closed for the Scholarship. Thank you to all who applied. Email notifications have been sent to all applicants regarding the status of their application.